This daughter photo shops herself into vintage pictures of her mother. This is the best mother-daughter photo shop ever. She stepped back in time to see if she could be her mum’s best friend. Danielle Delph had always wondered if she and her mother would be best friends if they had grown up together, so when she photoshopped herself into her mum’s vintage photos, she convinced herself that they’d have been great friends at the same age. 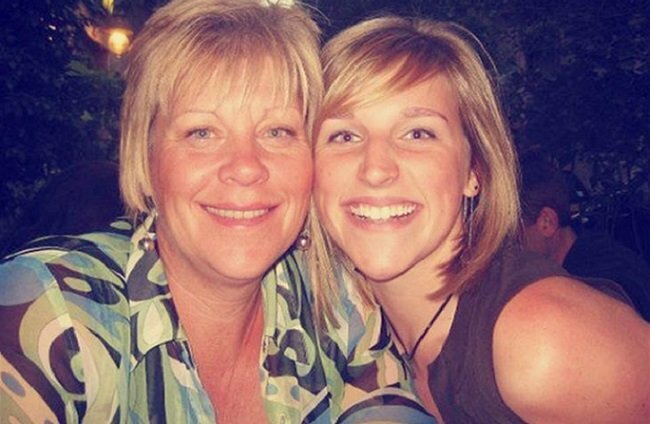 Danielle told TODAY.com she got the idea for her “If I Had Known My Mother Back Then” project while she was scrolling through photos on Instagram and found a vintage photo of someone’s mother. It made her think of her mother, Janis Thomas. The project took about six months to complete, partly because photos were being mailed one batch at a time from her mother’s home. “I just kind of went through and found moments when we were acting similarly, or we were interacting or making eye contact, or at a similar event,” Danielle said. One of Danielle’s favorite composites involves a picture of a carnival ride. Danielle got a kick out of a photo of her mother as a teenager, hanging out on a floral-patterned couch with her friends. Formal wear also got the mashup treatment. Perhaps the best case for a mother-daughter friendship that bends the rules of space and time is the final photo in the collection. In addition to creating memorable composite visuals, Danielle’s leafing through her mum’s photo albums yielded another profound result. She added she’s been thrilled by the Internet response to her collection, which was featured on Hello Giggles earlier this week. This post was originally published on Today.com, and is republished with full permission. Do you think you and your mum would&apos;ve been best friends? She feel in love with her daughter’s sperm donor.